The island Marie-Galante forms part of the Guadeloupe archipelago, a French Caribbean overseas department. The island has about 12,000 inhabitants and the capital is Grand Bourg. 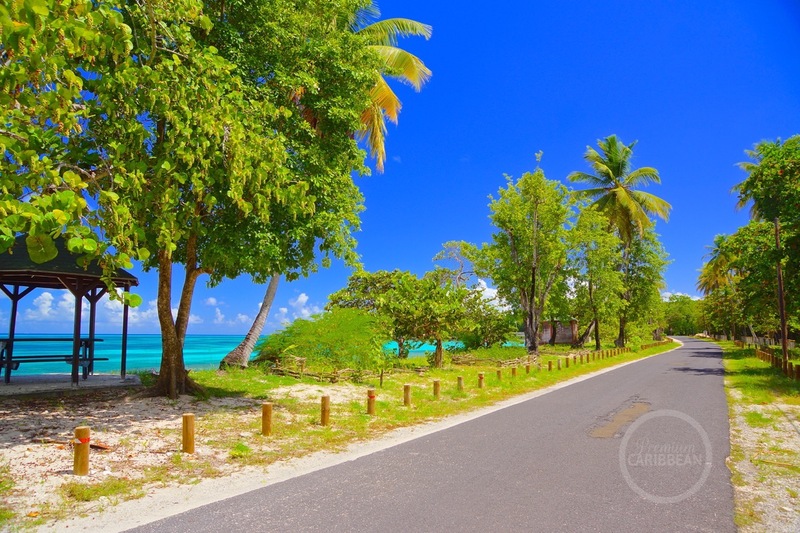 Marie-Galante offers more than only white sandy beaches. 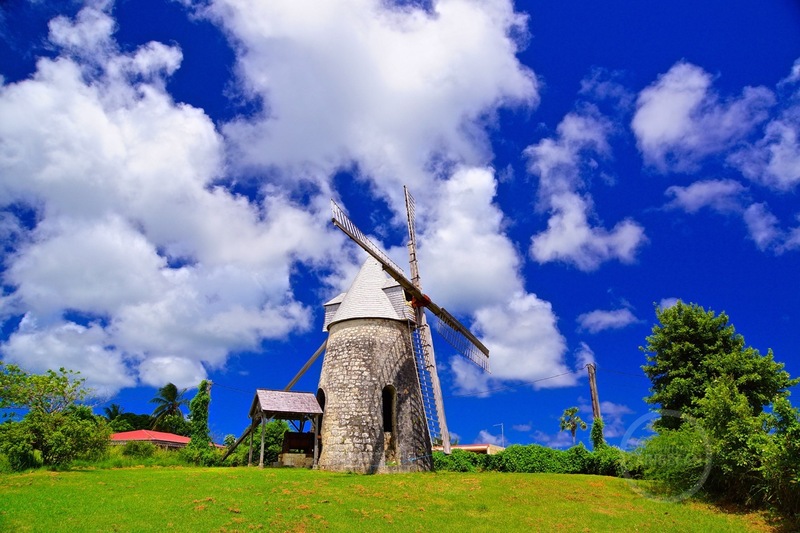 Did you know there were more than 100 windmills spread across the island? It is also called the island of sugar. Ideal for day trips from Basse-Terre or Grande-Terre, but Marie-Galante deserves more than that. 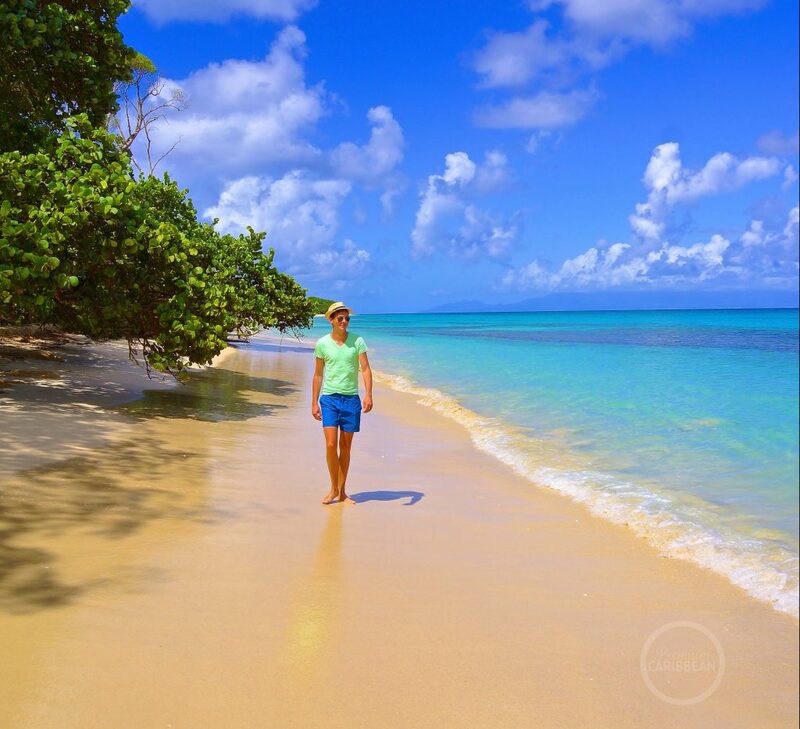 I’ll tell you about 5 things to do in Marie-Galante! Marie-Galante is easily reached by ferry in about 45 minutes from Guadeloupe’s capital Pointe-a-Pitre. The ferry goes to both Grand Bourg and Saint-Louis. It’s best to explore Marie-Galante by scooter or by car. The infrastructure on the island is in very good condition. Due to the low population density, it is very calm, there are only 12,000 inhabitants! When you’re here you’re not in a hurry, which makes it ideal to relax and unwind! Plage de la Feuillère, the absolute paradise for beach lovers, like myself! An idyllic white sandy beach, waving palm trees and a babbling Caribbean Sea overlooking neighboring island Dominica. A handful of beach bars are hidden between the palm trees. Another beautiful beach in Marie-Galante is Plage à Saint Louis. Something elongated and somewhat more narrow with palms and tropical scrub. A beautiful turquoise colored Caribbean Sea with scenic view on Basse-Terre, the ‘mainland’ of Guadeloupe. Bring drinks yourself, because there are no beach bars. Rum lovers pay attention: one of the world’s best best rum is distilled in Marie-Galante. As a matter of fact on this small island there are still three operating distilleries, ‘Distillerie Poisson‘ , ‘Distillerie Bielle‘ , and ‘Habitation Bellevue‘ . The best thing is you can visit them all. They welcome you warmly and you can taste the many varieties of rum…for free! Marie-Galante used to be a big sugar cane producer. Spread across the island you will find numerous ancient ruins of windmills. Some still in good condition, others are overgrown by nature. Some of then are still in use, at the rum distilleries for example. The capital of the island. Despite the fact it looks like a typical Caribbean town, there are certainly some old gems to be found. Including a church from 1827, Notre Dame de Marie Galante, worth a visit. In addition, there are several nice restaurants to be found as well. For example, enjoy dining at Maria Galanda! The island is as flat as a pancake, as a result making it easy to ride. Explore the island by rental car or scooter. 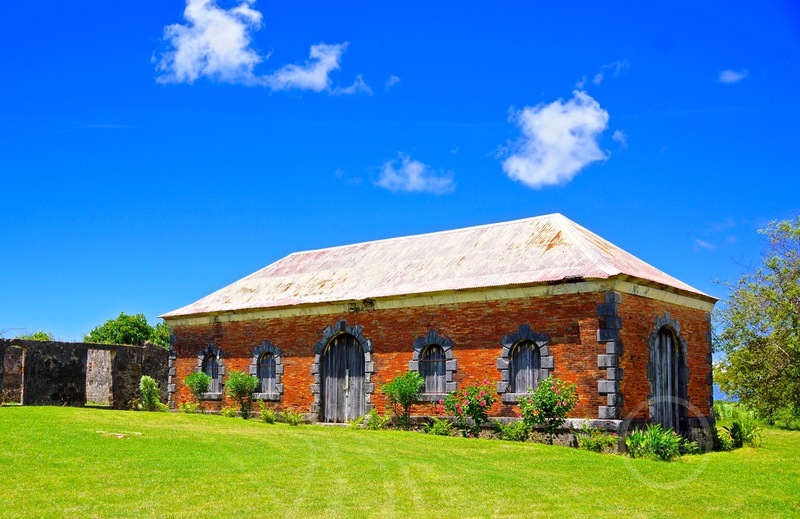 On your way you’ll encounter all kinds of (historical) beauties, such as the Château Murat, an old 1883 plantation house with beautiful sea views and used to be the largest sugar cane plantation of Guadeloupe. Or Habitation Roussel, an old but well-maintained 17th century plantation house on the road to Saint Louis. All the way north you’ll find Guele Grand Gouffre, a kind of naturally bridged impressive rock, beautiful with the turquoise crawling sea.